Even though all of these items are made for kids, I think they would fit in pretty well in any adult room. I especially love that they are a fraction of the price that would be charged at their parent stores for the exact same thing. 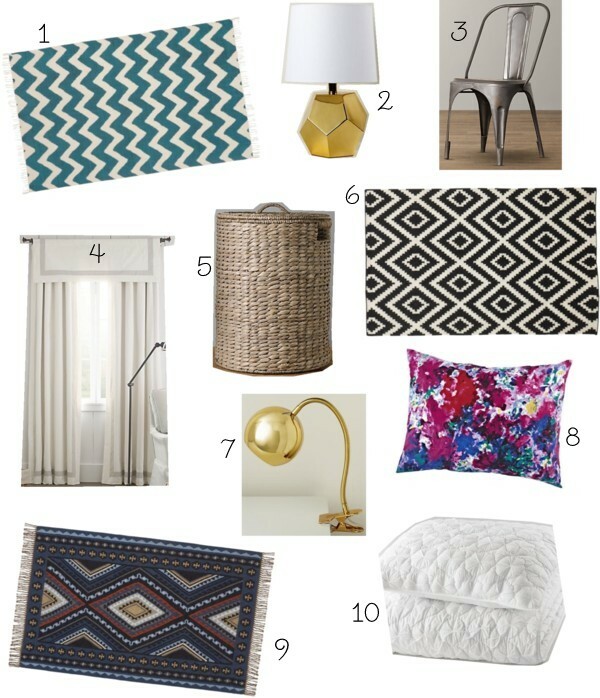 PBteen has it for the rugs, RHbaby has some great neutrals, and Land of Nod has some fabulous lighting and bedding... those shams are coming home with me! 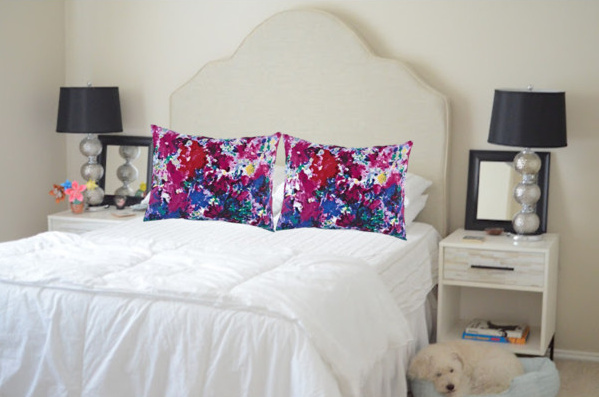 They would be a good pop of color for our bedroom, no? Now I'm trying to decide which of those rugs will go in my kitchen, and which lamp will make it onto my desk! P.S. How about those closing ceremonies last night? I'm not going to lie, I originally only started watching to see the Spice Girls reunion (you know you did, too! ), but I ended up loving the entire thing.